Boonstra, Rudy. "Rodentia". The Canadian Encyclopedia, 04 March 2015, Historica Canada. 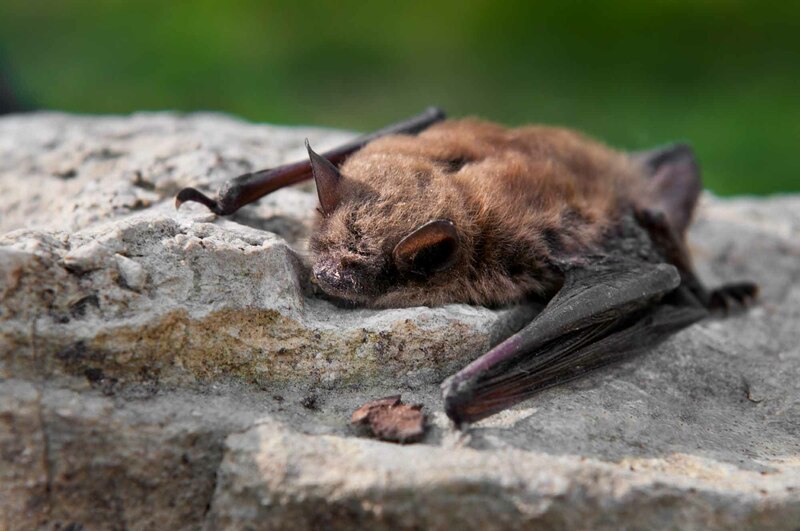 https://www.thecanadianencyclopedia.ca/en/article/rodentia. Accessed 20 April 2019. Rodentia, largest and most common order of mammals, including 29 families, 418 genera and 1793 species. In Canada, 68 of the 163 species of terrestrial mammals are rodents. 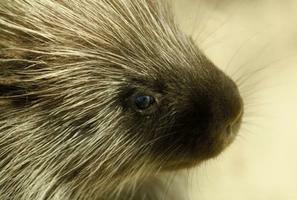 The porcupine occurs in Canada, throughout mainland forests and thickets. It is Canada's second-largest rodent (Corel Professional Photos). Muskrat at the edge of a marsh (Corel Professional Photos). Beavers are superb swimmers, and can stay under water for 15 minutes (Corel Professional Photos). Rodentia, largest and most common order of MAMMALS, including 29 families, 418 genera and 1793 species. In Canada, 68 of the 163 species of terrestrial mammals are rodents (including representatives of 8 families). Rodents range in size from 10 g (western harvest MOUSE; olive-backed pocket mouse) to 35 kg (BEAVER). Mammals of this order are characterized by having upper and lower incisors specialized for gnawing. These grow continuously from living pulp. Because the front surface, composed of enamel, is harder than the rear surface, the latter wears faster, creating a chisellike edge. As there are no canines, a large gap occurs between the incisors and the 2-5 cheek teeth. When the cheek teeth are in use, the incisors do not meet, and vice versa. Hence the jaw can crush food in a backward and forward, as well as a sideways motion. The hairy lips close in the gap behind the incisors, permitting some rodents to gnaw or excavate without filling the mouth with debris. Rodents are primarily herbivorous, eating parts of TREES, GRASSES and herbaceous PLANTS. Many (eg, red SQUIRRELS) are omnivorous, also eating animal matter, eg, eggs, nestlings, young snowshoe HARES and INSECTS. Their broad spectrum of evolutionary adaptations allows rodents to occupy diverse habitats. 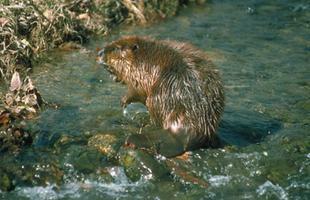 Aquatic rodents (eg, beaver) have feet webbed for swimming. Saltatorial rodents (eg, jumping mice) have hind limbs and tails elongated for rapid bipedal movement in open habitats. Fossorial or digging rodents (eg, POCKET GOPHERS) have forepaws modified for tunnelling in soil. Arboreal rodents, eg, squirrels, have hooked claws adapted to climbing. Gliding rodents, eg, flying squirrels, have a skin fold between forelimbs and hind limbs that allows them to glide rapidly between trees. The behaviour patterns of rodents are equally diverse. Some species (eg, KANGAROO RAT) are nocturnal, some (eg, most squirrels) are diurnal, and some (eg, LEMMINGS, VOLES) are active night and day. Some form large colonies (eg, black-tailed PRAIRIE DOGS); others are solitary (eg, red squirrels). Some (eg, beavers) are monogamous; others (eg, Richardson's ground squirrels) are polygamous. To cope with the Canadian winter, many rodents (including CHIPMUNKS, ground squirrels, MARMOTS, jumping mice) hibernate; others (eg, beavers, voles) remain active throughout the year. Reproductive behaviour depends largely on size. Small species tend to mature quickly, breed several times through the year, produce large litters, and live less than one year. Larger rodents show the opposite trends and generally live longer than one year. Humans derive direct benefit from fur-bearing rodents (eg, beavers, which also check stream EROSION by their dams) and from domesticated RATS and mice used for biological research. Indirect benefit is obtained from species that serve as food for game and fur mammals. However, rodents also compete with humans for resources. Some, eg, meadow voles, may injure or kill shrubs and trees by girdling (chewing a ring around the bark). 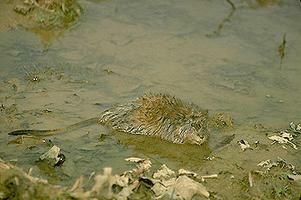 Some, especially the introduced brown rat and house mouse, may consume standing or stored grain crops. 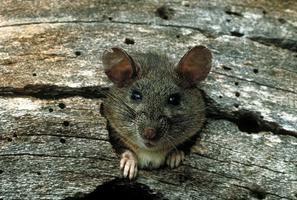 Rodents may also be carriers of human DISEASES, eg, hantavirus, bubonic plague, tularemia and scrub typhus. See also individual species entries. 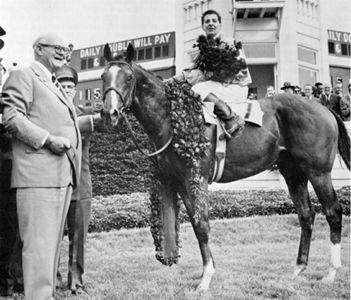 P.W. Hanney, Rodents: Their Lives and Habits (1975). PorcupineSee a natural history profile and description of the typical habitat of porcupines found in Canada. From the "Hinterland Who's Who" website.